They had a conflict which resulted in a shootout. 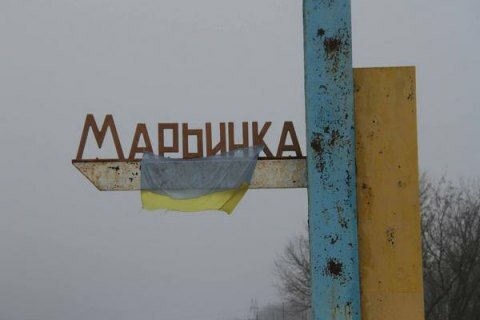 A serviceman was killed by a fellow soldier in Maryinka, Donetsk Region on the evening of 18 February. Two servicemen of military unit A-0409 of the 30th detached mechanized brigade had an argument, during which one shot the other from an AK assault rifle, a source told LB.ua. The reason for the argument is being investigated. The killer was detained. He will be investigated for premeditated murder. Last week, four marines were killed by two fellow soldiers in the village of Berdyanske, Donetsk Region. According to preliminary reports, they could do it because of hazing.